Tottenham boss Mauricio Pochettino declared all eyes are on Barcelona after Spurs cruised past Leicester. 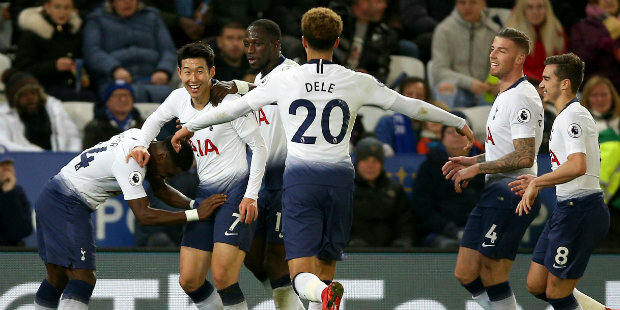 Son Heung-min and Dele Alli struck to clinch a 2-0 win at the King Power Stadium on Saturday night. Harry Kane was rested and played just the final 16 minutes as Pochettino kept him fresh for Tuesday’s crucial Champions League clash at the Nou Camp. Victory lifted Spurs up to third in the Premier League, six points behind Liverpool. But Pochettino is now focused on staying in Europe, with Tottenham second in Group B and locked on seven points with Inter Milan, who play PSV Eindhoven on Tuesday. “Now it allows us to start thinking about Barcelona,” he said. “You never know in football until you play. “It will be a massive game, they have qualified for the next stage but in the Champions League no-one is going to give a present. “We need to win and deserve to win. The mentality is going to be 200 per cent to try to win. Manchester City’s 2-0 defeat at Chelsea also allowed Spurs to close the gap to Pep Guardiola’s second-placed side to five points, and Pochettino wants consistency if they are to maintain a title challenge. “The reality is we are there, fighting Liverpool, City, Chelsea and Arsenal – that’s the reality,” he said. “The three points are massive to keep our position in the table. It’s a massive win for us. “It’s not a thing to show the belief you have in the squad is massive. It’s easy to talk about but it’s difficult to show. We believe and trust in the squad and how important all the players are. “There’s no point players playing every three days. It’s not healthy, they need to rest and need some time to breathe. Son sparked a dull game into life when he opened the scoring in first-half stoppage time with an excellent curling strike from 20 yards. He teed up Dele Alli to make it 2-0 just 13 minutes after the break – the midfielder’s 50th goal for the club – as Spurs wrapped up the points early. Leicester, without the injured Jamie Vardy, lacked bite and never looked like scoring even before Son’s opener. 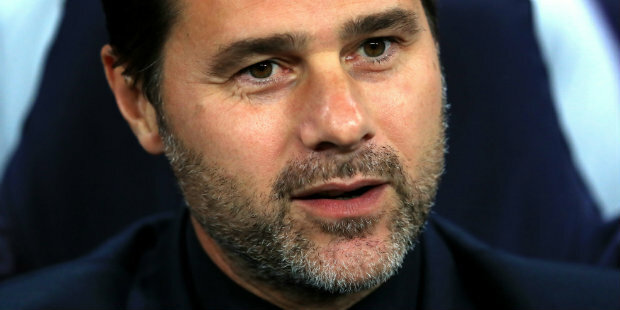 Be the first to comment on "Pochettino targets glory against Barcelona after Spurs’ win at Leicester"